Well, what does one say about Fried Green Tomatoes and Corn and Tomato Saute? The usual adjectives come to mind…amazing, delicious, mind-blowing. Well, that’s what this dish is. Easy and incredible. Simmering tomatoes with onion, jalapeno, pablano, garlic…and pure deliciousness. 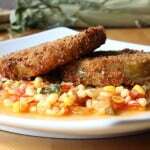 Fried green tomatoes on corn and tomato saute are pure Southern perfection! I'm telling you, farm fresh veggies for the corn and tomato saute (also known as Maque Choux) are amazing. 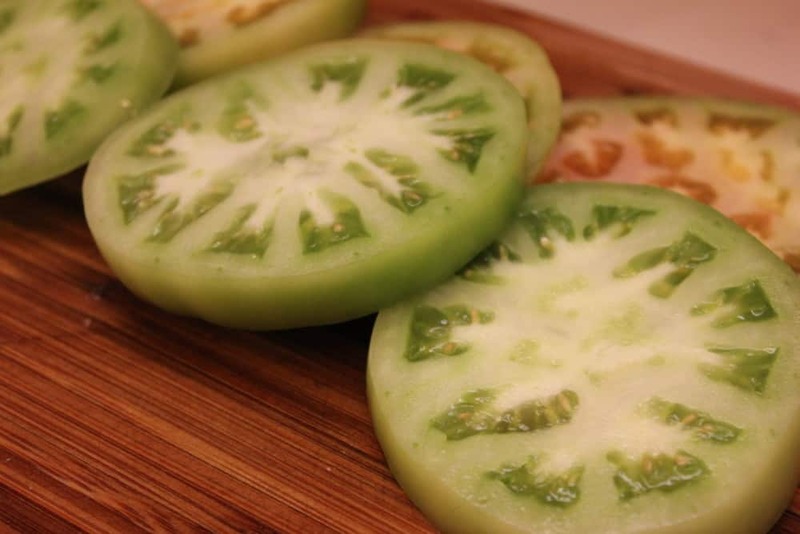 Green tomatoes are hard to the touch at first, but lightly fried to yummy perfection. The combination of flavors is out of this world! Melt the butter in a medium skillet over medium-high heat. When the butter starts to sizzle, add the onion, poblano, jalapeno, salt, pepper, and paprika. Saute for 5 minutes, stirring, until the vegetables are softened. 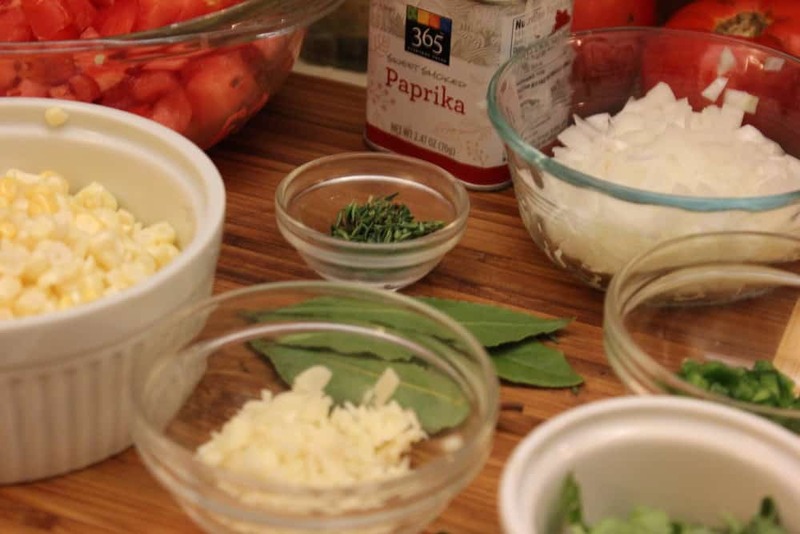 Add the tomatoes, garlic, bay leaves, thyme, and water, and simmer over medium-low heat for 10 minutes, until the tomatoes start to break down. Add the corn and simmer, until tender, about 15 minutes. 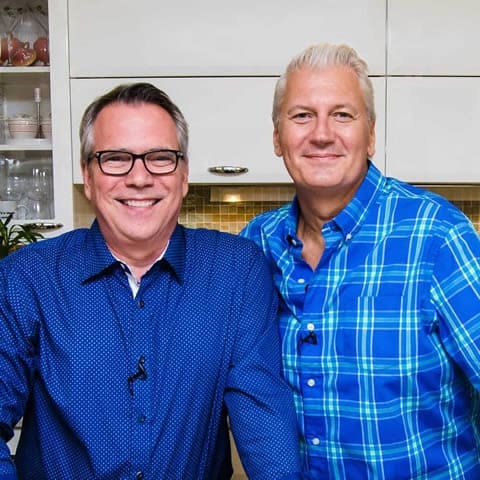 While the corn simmers, heat the oil (either in your deep fryer, or in a large skillet at about 2 inches high) to 350 F, or test with a small piece of bread...when tossed in, if sizzles immediately...it's ready...but if burns quickly, turn down the heat and wait a few minutes. 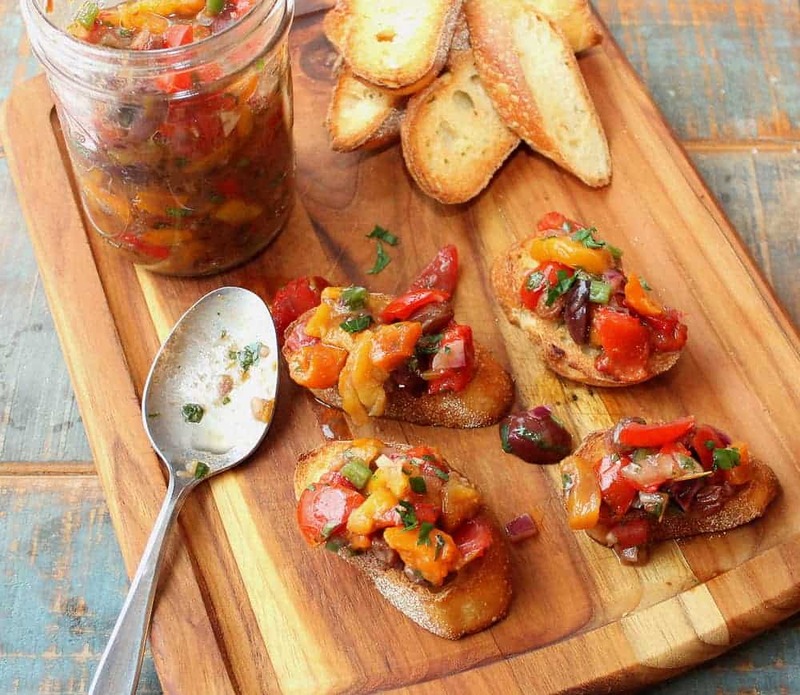 Slice the tomatoes into 1/4 to 1/2 inch slices and liberally season with salt and pepper. Place the flour, buttermilk, and bread crumbs in individual bowls. One at a time, dip the tomato slices first in the flour, then in the buttermilk, and then in the bread crumbs. Fry the tomatoes on each side until golden all over, about 2 minutes per side (this will vary, keep a close eye, don't let burn). 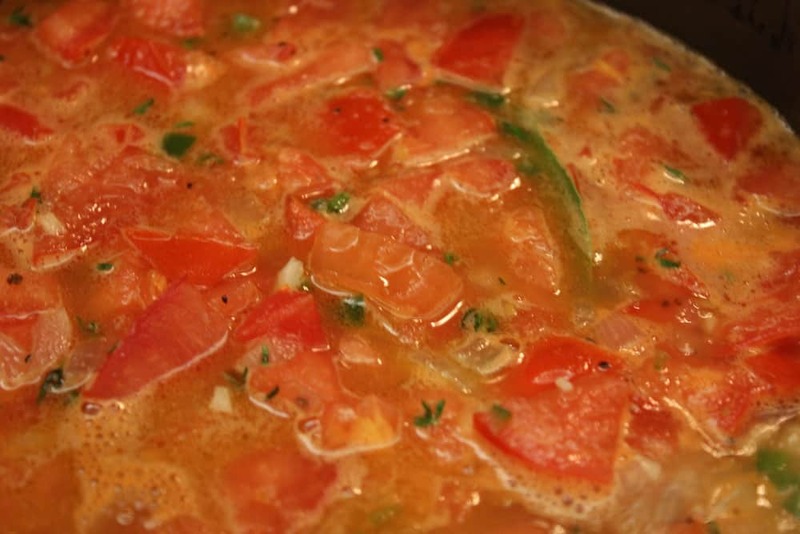 Spoon some of the warm corn/tomato saute (Maque Choux) onto plates or shallow bowls. Top with fried green tomato (1 or 2, per plate).